Really, there's only so much time you can spend in the fjords of Sweden before mighty Satan commands you to hit the road and rock out the peasants, right? But for Ghost, it's not the same-old, same-old. 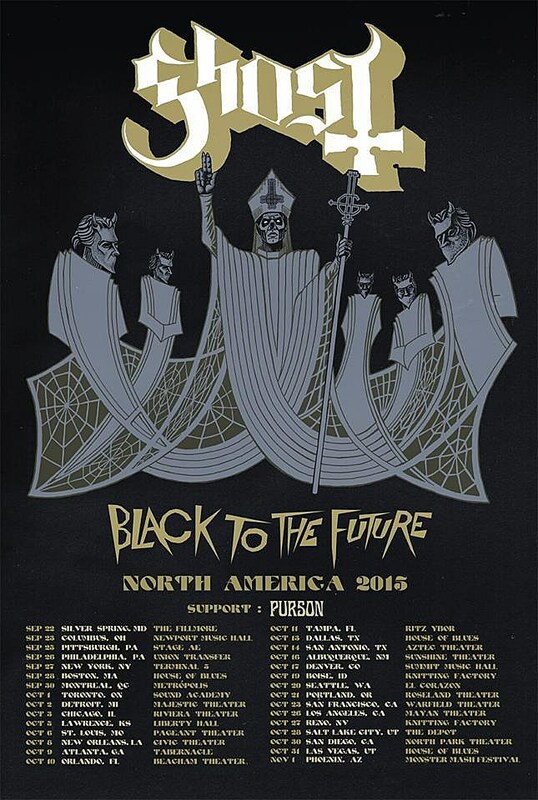 Things are evolving as their international "Black to the Future" tour rolls along. While they've had no problem coaxing the devil out with electricity, they're also embracing an acoustic side we rarely get to see. That's what happened this week (April 22) prior to a gig in El Paso, as they unplugged "Jigolo Har Meggido" from 2013's Infestissumam. While there are no promises that you'll see a lot more wooden music from the Nameless Ghouls, you can pretty much expect the band to play every night from now until the end of July when they land at Lollapalooza 2016 in Chicago. By the time they get there, they will have torn through most of America and Northern Europe, making the international festival scene. In case you were wondering, no -- we didn't get to see the Grammy winners without their elaborate makeup and masks. Or, if we did, we're smart enough to not go around bragging about it -- that's for sure.